This entry was posted in Uncategorized and tagged announcements, blog hop, contests, Dreamspinner Press, gay romance, giveaway, GLBTQ, holiday, male male romance, Sarah Madison, upcoming release, writing by Sarah Madison. Bookmark the permalink. My favorite holiday food is Peanut Butter Blossoms, because I love peanut butter cookies and the Hershey kiss on top is awwsome. Thanks for the chance! Yum! We make something similar except we push a Reese’s mini-cup into the warm cookie! Of course, the broken ones are fair game to be eaten–cook’s rules! Oh yum – those look great! It’s really difficult to pick a favorite holiday food – one of them is tamales. We eat them on Christmas Eve. 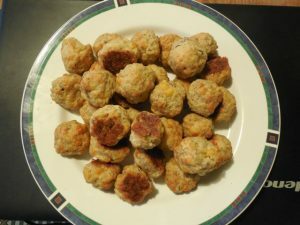 My favorite are my mom’s kiffles, both the nut and lekvar kind. My favorite holiday food (drink) is egg nog. Plus my grandmother’s sugar cookies. 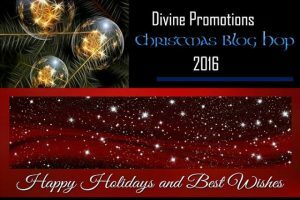 Sarah Madison recently posted..Divine Promotions Christmas 2016 Blog Hop & Giveaway! You’re the second person to mention tamales–and yet I’ve never heard of offering them at Christmas before! Is it a common tradition in your area? Sarah Madison recently posted..Fool’s Gold and Truth & Consequences Honored in the 2016 Rainbow Awards! I am very partial to a Spanish seasonal treat called Turron de Jijona (which is a soft almond and honey nougat type deliciousness) which is one of the few treats I can enjoy due to allergies, etc. And you made me grin from ear to ear with your comments on Fool’s Gold! Yay! I do hope you’ll enjoy it! It probably *is* a standalone, but I’m working on a short epilogue that I hope will please. And I’m definitely writing more stories set in that kind of world. 🙂 Thank you! Sarah Madison recently posted..More Stellar Reviews for Holiday House Swap: Book Tour & Giveaway! That sounds vaguely familiar–I’ll have to look it up!